Requiring every student to study something already sounds pretty unrealistic, but predictive analytics sounds particularly intimidating when you first hear it.Choosing the right course of study in college is daunting. After all, the course you choose could determine your professional future. While some students might be passionate about literature or art history, other students choose majors and course based on how likely they are to prepare them for a job in the professional world. With economic upheaval and the rise of artificial intelligence, predictive analytics is arguably one of the most impactful courses of study. It’s a bold statement, but predictive analytics is the economic future and a huge part of the economic present already. It’s a common scene in the classroom for the lackadaisical student to ask: “What’s the point of learning this if I’m never going to use it?” But mathematical applications are everywhere and they’re only becoming increasingly relevant in today’s technological climate. Everything from your clock on the wall, to your phone, to the binary that encodes your computer is based in math. So, why and how does predictive analytics make a difference? What does it mean and what are its implications? To begin, we should clear some things up. What do we even mean when we throw out a phrase like “predictive analytics.” Let’s break it down. Predictive is exactly what it sounds like: the ability to predict future outcomes with a degree of accuracy. Analytics refers to the application of statistical and other mathematical fields to achieve that predictive purpose. This begs the question, “How does predictive analytics accomplish any of those feats?” It allows companies to make more educated projections and judgment calls, thus enabling them to proactively solve for potential problems, rather than reactively addressing issues after they’ve already caused havoc. Let’s pretend that I am modeling the physics of a coin flip and determine, with 70 percent accuracy, on how the coin lands. If I bet against people now I win 70 percent of the time instead of 50 percent, which means that my overall risk in making the bet has been reduced. Let’s look at some real-life applications in business to really show off the necessity of studying predictive analytics as a college student. This is a case study done by the company, SAS, which boasts of the possibilities its predictive analytics services and expertise in a number of case studies across a variety of industries. DSW stands for Designer Shoe Warehouse. It’s essentially a retailing company for shoes that also has a significant online following. One of the foremost problems that DSW needed to solve as a shoe company, with a growing online presence, is how to estimate and get the best fit for its customer’s feet without all of them being in the store. With the optimization technology offered by SAS, DSW was able to achieve its goals of reducing stock-outs and markdowns along with the added benefit of increased margins in its products. That’s powerful. Imagine you’re this smaller, newer bank like HDFC. You want to be able to remain competitive but the bigger banks in your industry are miles ahead of you technologically. That was exactly the case as HDFC wanted to reliably identify higher-margin customers for targeting and create a scalable and reliable credit approval system for retail loan applications. SAS accomplished just that with its Analytics platform, allowing for 70% cross-selling (selling additional products to clients) for HDFC’s credit card portfolio and reducing the day’s worth of time it took to approve a loan to mere minutes. 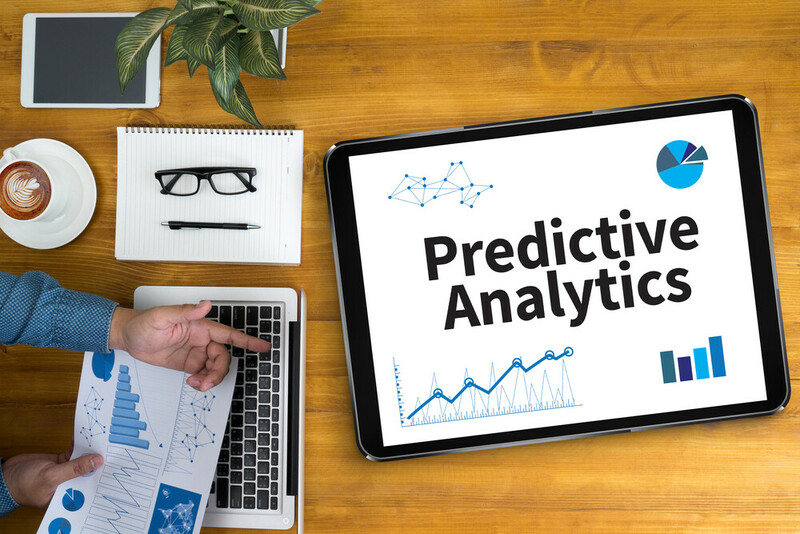 The way that predictive analytics can keep producing these solutions for so many businesses just speaks to the truth of its increasing relevance in modern society. Assuming you’re not a senior asking this question in their final semester, you’d do well to start taking math courses and building up a strong analytical foundation. A combination of online resources and the right techniques for online studying will are key resources at your disposal nowadays. Khan Academy and the best universities offer basic and even some advanced courses in mathematical topics so you can easily build up the right background to go after that math major or minor. With the huge opportunity in predictive analytics present and the resources to go after it, what are you waiting for?